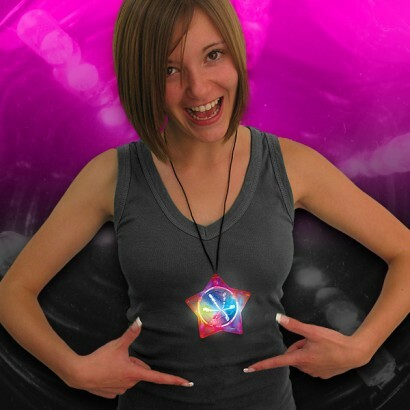 Multi coloured LEDs shine and fade in various functions to create an endless tunnel of colourful light in this striking infinity illusion necklace. 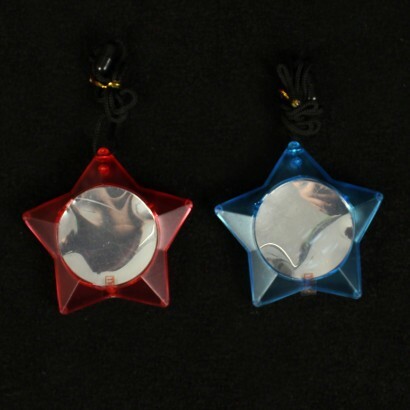 LEDs and mirrors combine in this playful star shaped pendant to make a truly mesmerising light show that's as much fun for parties as it is for sensory classes, and supplied on a breakaway safety necklace cord, it leaves your hands free too. 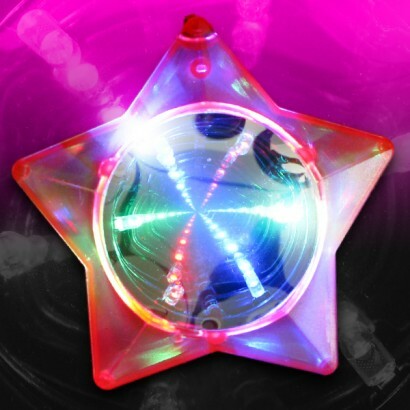 Suitable for ages 3yrs +.